How to Travel with Kids #AtoZChallenge - A Rose Is A Rose Is A Rose! 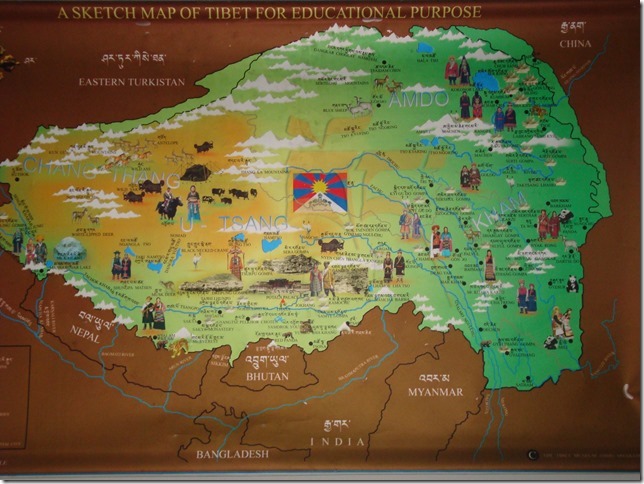 Travel can be an enriching and enlightening experience for children of all ages. In fact, it is the best education. They get to learn about the new place and its food, culture and history. They also get to have a date with the nature and learn about the people around too. They do all this by having fun all the while. But traveling with kids can also be pretty overwhelming. Long hours on the road or flight, unfamiliar surroundings and unpredictable schedules make the kids clingy and cranky. It’s true that traveling with kids for a vacation is not as easy and simple when compared to travel that is solo or with friends. But it is not all that difficult and in fact having them around makes for some great fun times, with some beautiful memories. The most important thing that needs to be taken care of is the needs of the children. Yes, that’s right! If we pay attention to their needs which are actually 6Es, we are sorted, yes, even on a vacation. 1. Enthusiasm. Check. When we plan and talk about the forthcoming trip with excitement, it kind of rubs on the children too. After all nothing is as contagious as enthusiasm. Disinterested and uninvolved children can dampen the holiday cheer. Let them help in packing. I know, how much of a help that is, but still! The idea is that they too should be looking forward to the fun and exciting times. And half the battle is won. 2. Expectation Matching. Check. Going for a trek or a visit to a fort on a hill with toddlers can exhaust you physically and mentally. (Of course, such excursions are pretty do-able and manageable, if you plan well!) Going for a vacation and doing things that all in the family enjoy and love results in happy smiles all around. 3. Engage. Check. What do kids love the most? Playing games, obviously! Bored kids can be very cranky. So, how about taking their favourites along with you, like UNO cards or Beyblades or Chess or whatever interests them. 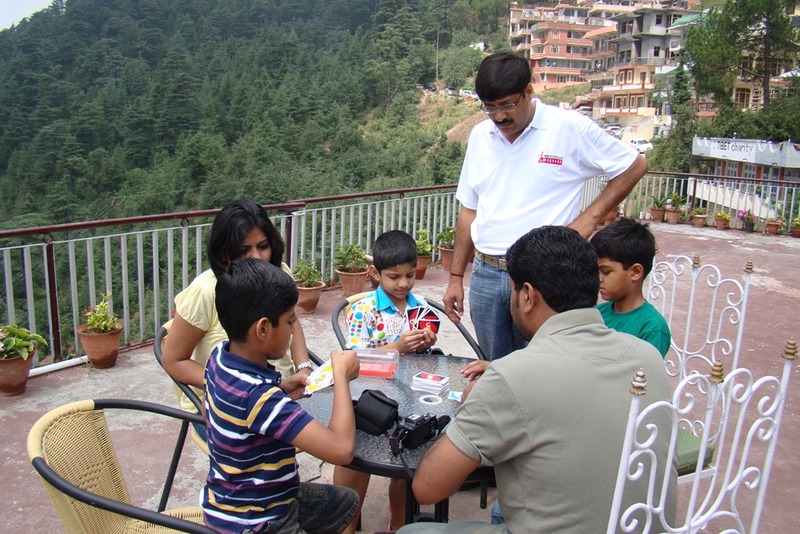 For example, on one vacation with our friends, the kids played UNO and we too learnt it from them which graduated into marathon UNO sessions involving all the adults and children. Needless to say, who had fun beating whom… initially!! 4. Enjoyment Galore. Check. With our modern lifestyles, indoor culture and addiction to technological gadgets, our children are far more removed from nature than us. 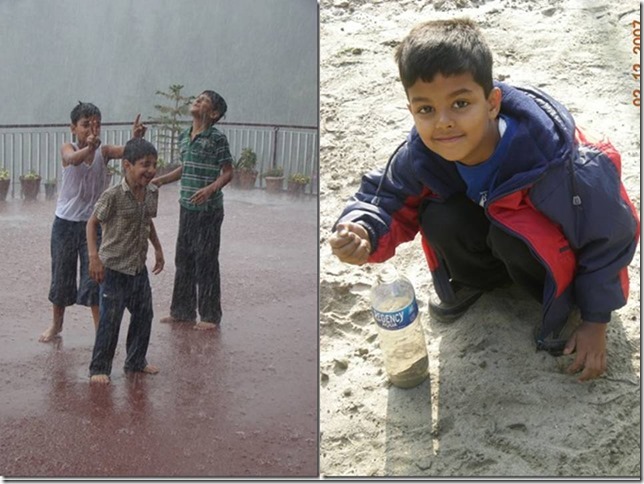 Vacations are perfect time to relax and let children be children and let them recapture the simple pleasures of dancing in the rain or climbing trees or playing with sand. 5. Explore. Check. Children are such curious creatures. They explore, question, and wonder, and look at everything with a different perspective. A trip to a museum was such an enlightening one, only because we had two ten-year olds with us. Their steady stream of questions made us read up and hire a guide and that was truly enriching. 6. Expect the Unexpected. Check. Not everything goes as per the plan always. There would be surprises and there would be surprises. Like once a child had a tummy upset, so we had to take frequent breaks during our road trip. While the parents took turns in taking care of the child, rest of us made the best of our time by capturing memories in our cameras and chatted with the villagers around and soaked in the beauty around. Rumi said, travel brings power and love back into your life… and children pack it with more power and love along with fun and happiness and lots of magical moments and memories! See the world, with your children. It’s more fantastic than any dream made or paid for in factories. So where are you heading these vacations? How has been your travel with kids? Share some of your best and nightmarish travel memories with kids. That’s so sweet. Kids certainly add more fun and liveliness in any setting! I am yet to experience travelling with a child and I fear I maybe not very patient with them. I am just not used to being around kids! I guess traveling with them to easy places, inexpensive ones initially will be great. And as they will grow up, the budget and distance both can increase. My mother recalls many times, I was the huge pain on trip when I was young and , after growing up like you have mentioned we used to carry lot of games, especially on train-journeys. Yes, it makes sense to start with short and easy to manage trips. Once the child gets accustomed to travel (they are pretty adaptive), you can explore more. Traveling with children is very good for them because they learn so much in terms of knowledge and how to navigate the world. I always traveled a lot with my children also because I didn’t want to deprive myself of the experiences – hahaha. Some great tips , Shilpa. Sharing this post with my Mommy friends. You forgot one very important point. Expect the unexpected. Children always want the things that are not in your bag. Be prepared for biscuits when you carry puri and a cough and cold when you have Aspirin! Well said. Thanks for sharing that, Sunita! Even now, as young adults, our children like to play word games like ‘contact’. It’s the best and fun way to make memories of being ‘together’. Oh yes, games are best to keep the kids engaged. We have had some fun times playing antakshari or dumb charades or names of countries etc. Thanks for sharing your experiences, Arti! I started traveling with my son when he was 2.5 months old. Now he is a seasoned traveler. He is learning more from travel than school. We always make sure to tell him about the history of the place, the geography of the place and he has more practical knowledge than I had when I was his age. This is once again another great post from your treasure chest. You are doing great with your son, Balaka. Instilling the love to explore and travel in a child is one the best gift you can give to your child. Thanks Balaka for your kind words. Since I have no plans of traveling with others’ kids (I have seen enough on planes), this post is of no use to me. But I’ll be sharing this post with friends of mine who are parents and looking to travel with their kids in tow. Boy, it sure is not easy, isn’t it? Nice to read this post shilpa, yes I agree with all the 6E’s . I always loved to travel. I could not much with Emmanuel needed special attention hence, I had to choosy of the places we chose, some times I used to feel bad for my daughter for depriving her of the fun she deserved. .. its all past now but i am grateful to God that Dorothy has started enjoying travels, last year she made 3 trips – Delhi, Kerala and Coimbatore, two she was attending youth programmes and one for her study tour to kerala. Wanderlust bug bit my son and daughter quite early in life, courtesy us, parents! I remember one such outing at Istanbul, where the younger one slept in the pram most of the time and the elder one happily roamed about the streets all through out the day, during the heritage walk. Whenever, he felt tired, we used to take a break. It was he who would bounce back first and insist on us to move on! Travelling with kids, if planned well does turn out to be the best time together. Aha! That’s so wonderful, Anagha. So happy that your kids enjoy travel. Great going! Thanks a lot for this post Shilpa, what perfect timings. We are going on an extended weekend small trip and this is right checker before mom and dad step out with kiddo. Thanks Roshan, glad that this post resonates with you! 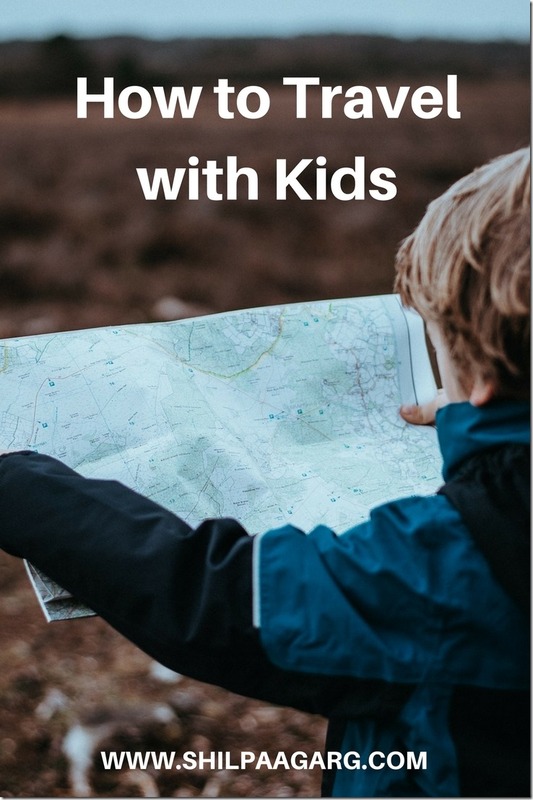 Traveling with kids needs proper planning. I have 5 years old son. He started traveling with us when he was only 6 months old. That time we always kept 1/2 days extra in our trip plan for his rest and to adjust to the new environment. 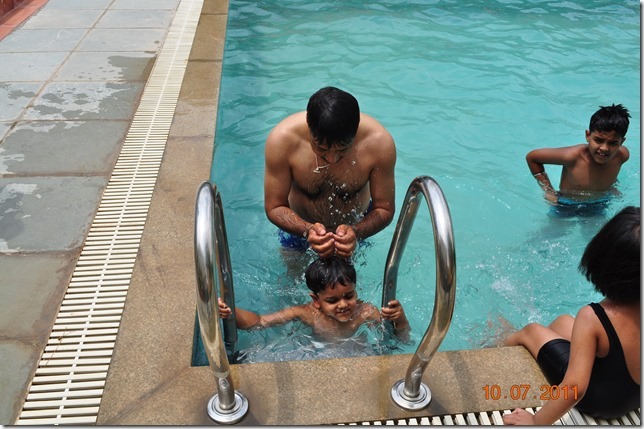 Your tips are very useful for parents like us, who travel a lot with the small kids. Aha! You started travel for your son pretty early and that’s so nice. Thanks Sayanti, glad you find this post informative and useful. I am so very thankful the days of traveling with kids are over! Very cute post Shilpa. What I loved the most in the six E’s is enthusiasm. It gives the little ones so much of positivity. Thanks Roma. Yes, Enthusiasm is key to make a trip happy and enjoyable one!! I also wrote a similar post some time back. 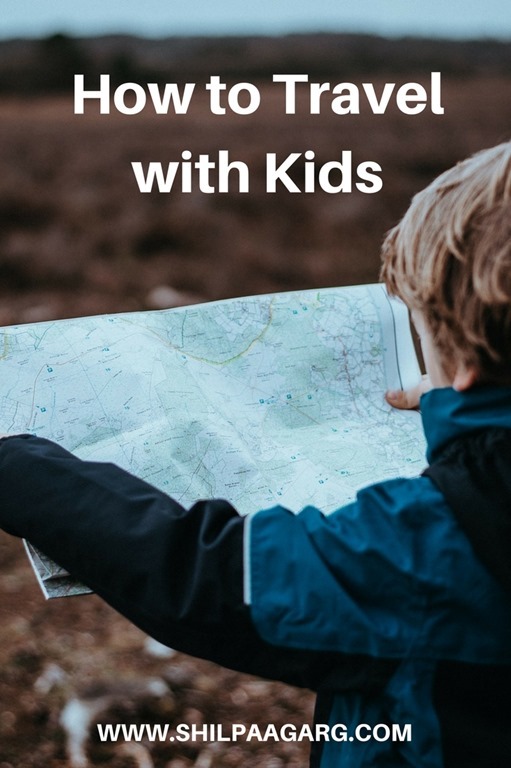 I love travelling and make sure my kids enjoy and explore the places around. These are great tips for parents. All great points, Shilpa! I love traveling with kids–no matter what happens they’re always so enthusiastic and fun. Moreover, we get to see things through their eyes and that’s a refreshing perspective! I am just back from my first trip with both my kids. It was a first with only me and my husband with both the boys. I think setting the expectations right is the key. Like on the second day we had to trim our sight seeing list because my elder one kept complaining of stomach ache. While it was hunger, he could not point it out and we had to rush back to the hotel. I feel the thing is.. the first few travels with kids is indeed tough.. The unexpected happens, and coping with it is quite a task. But the point is not to let go of travelling, children or no children, and soon they learn to adjust and cope up. Believe me, children are superb at adapting. There might be hiccups initially, but it’s a smooth and enjoyable sailing after that! we used to have all the board games during our travel shilpa. now travel has become rare since my son is doing his a levels. Yes, we used to have ludo, chess, snakes and ladders and our own games of dumb charades, name-place-thing, raja-mantri-chor-sipahi etc. Such fun games, that made travel more fun. All the best to your son for his A-levels and hope you get to travel more soon, Deepa!